Climate change is a major challenge for the coast and we need to train engineers and scientists who can tackle these complex issues. Robert leads research and education in coastal engineering at the University of Southampton, including collaborating with colleagues in Oceanography, geography and Social Science. His research is focussed on long-term coastal engineering and management, especially the issues of coastal impacts and adaptation to climate change, with an emphasis on sea-level rise. This work occurs at all scales from local research in the Solent, up to global assessments. A major recent theme of research is the future of densely populated deltaic areas which are highly threatened in coming decades. He has also been involved in a number of international assessments, and in particular the Intergovernmental Panel on Climate Change (IPCC), who were awarded the Nobel Peace Prize in 2007. He was awarded the Roger Revelle Medal by the Intergovernmental Oceanographic Commission in 2008. This recognises 'outstanding contributions to the ocean sciences by inspired researchers who communicate their knowledge and global vision of the challenges facing our Planet in order to shape a better future for humankind'. Currently, he co-leads the World Climate Research Programme Grand Challenge on 'Regional sea-level change and coastal impacts' who organised 'Sea Level 2017' at Columbia University in July 2017. He is also a member of the ASCE COPRI Coastal Engineering Research Council. Robert's research is mainly focussed long-term coastal engineering and management, especially the issues of coastal impacts and adaptation to climate change, with an emphasis on sea-level rise. A major recent theme is the assessment of the future of deltaic areas, which are the most threatened coastal setting in the coming century. In particular, he has been working with the Planning Commission of the Government of Bangladesh to support the Bangladesh Delta Plan 2100. He was lead author of chapters in four reports of the Intergovernmental Panel for Climate Change (IPCC): Second Assessment Report (1996); the Regional Assessment (1998); the Special Report on Technology Transfer (2000); and the Third Assessment Report (2001). He was Convening Lead Author (with P.P. Wong (Singapore)) for the "Coastal Systems and Low-Lying Areas" chapter in the IPCC 4th assessment and was the Review Editor of the Coastal Chapter in the IPCC 5th Assessment (2014). He has contributed to many national assessments such as the DEFRA-funded "Fast Track" assessments as the coastal expert, the Stern Review on the Economics of Climate Change, and led the coastal research theme in the Tyndall Centre for Climate Change Research which developed the "Coastal Simulator". He continues to lead the Cities and Coasts theme of the Tyndall Centre. He also contributed to the Foresight study of Flood and Coastal Defence and its update for the Pitt Review and participated in related UK missions to Russia and the USA. He is one of the principal developers of the DIVA (Dynamic Interactive Vulnerability Assessment) which builds on his experience with the Fast Track Assessments. DIVA has been used in both research and in policy development. This includes input into the EU Green Paper on Adaptation, the UNFCCC 2007 paper on adaptation costs, the World Bank 2010 assessment of Economics of Adaptation to Climate Change, and the Asian Development Bank study of China, South Korea, Japan and Mongolia as well as recent papers on global erosion (2013), flooding (2014) and wetland change (2016). He has lead two recent OECD papers on climate change, including a global assessment of flood exposure in large port cities which was followed by a city risk assessment in 2013. He has also advised several national governments on adaptation in coastal areas, such as Singapore. Recently he has been Principal Investigator/Co-Investigator on a number of major projects. 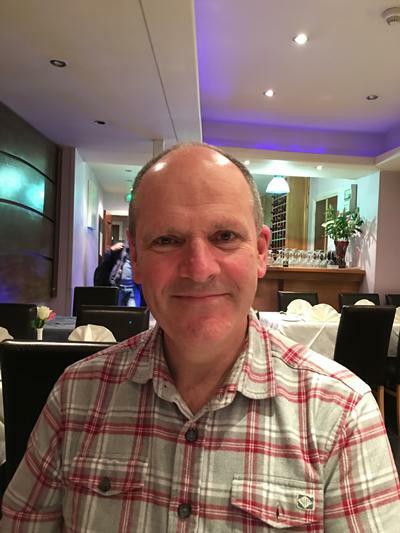 He led the NERC-funded iCOASST Project (2012-2016) which concerned "Predicting Long-term Coastal Geomorphological Evolution" and is a partnership with the Environment Agency with application to flood and erosion risk management. He led the Ecosystems Services for Poverty Alleviation (ESPA) study on "Assessing Health, Livelihoods, Ecosystem Services And Poverty Alleviation In Populous Deltas" (2012-2016). This is based in coastal Bangladesh and results are being used to support the Bangladesh Delta Plan 2100, including the ESPA-funded Continuation Project from 2017 to 2108. It resulted in an open access book on integrated assessment of deltas. Presently, his main project is the IDRC / DFID funded project of 'Deltas, Vulnerability and Climate Change: Mitigation and Adaptation'. This researches vulnerability to sea-level rise and other drivers of change in the Volta Delta in Ghana, Mahanadi delta in India, and the Ganges-Brahmaputra-Meghna delta in Bangladesh / India. Robert analyses the impact of sea-level rise at global/continentalscales (e.g., Europe) using the Dynamic Interactive Vulnerability Assessment (DIVA) modelling framework. Robert's research in deltas integrates diverse knowledge domains across biophysical, socio-economic and governance domains to address complex development questions and support strategic planning in areas vulnerable to sea-level rise. Robert's research examines global scale questions like the impacts and adaptation to sea-level rise and related issues. This figure shows large coastal cities that are prone to high rates of subsidence, together with observations of subsidence. 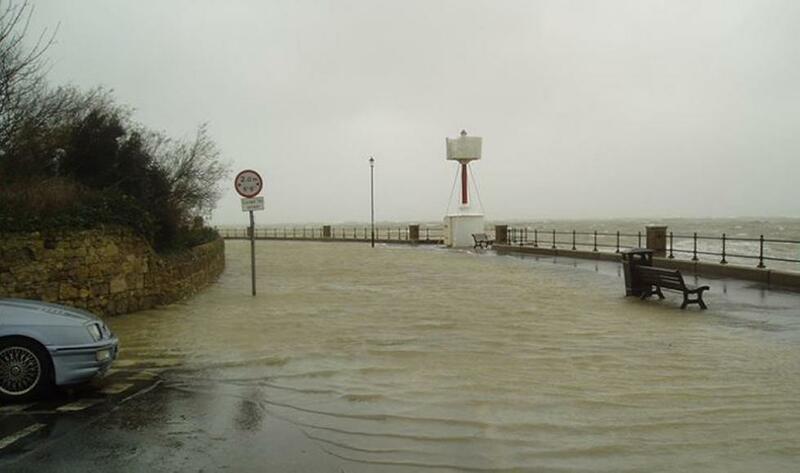 Robert is interested in coastal flooding, including in the Solent, such as this flood near Cowes, Isle of wight. 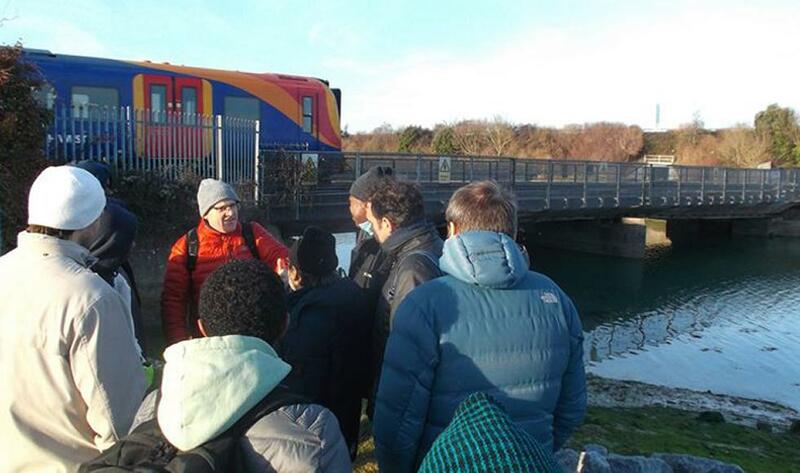 Robert works with international organisations and universities, who visit Southampton and attend field trips in the surrounding area to better understand coastal risks. Robert likes to understand past coastal conditions and continues to learn with other experts on field trips. Robert has an interest in ports and how they cope with extreme conditions and climate change. 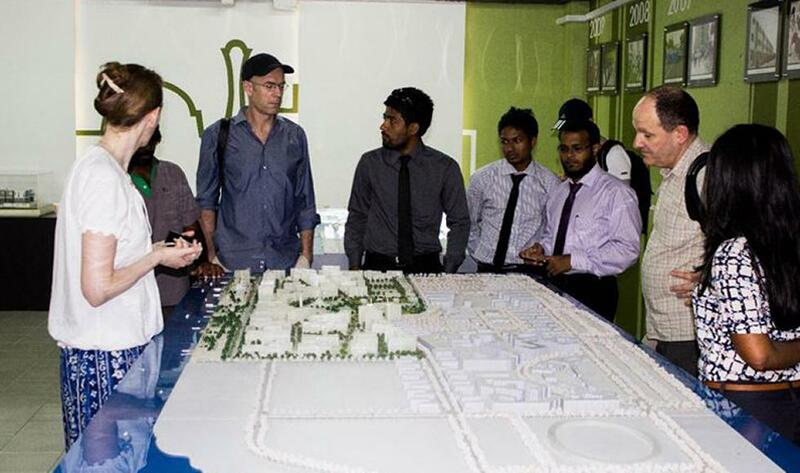 Much of Robert's work focuses in developing nations, such as in Bangladesh which is vulnerable to sea-level rise. Robert researchers science and engineering in the Solent, including in Portsmouth, where he interacts with the local authority responsible for managing and maintaining the coast. 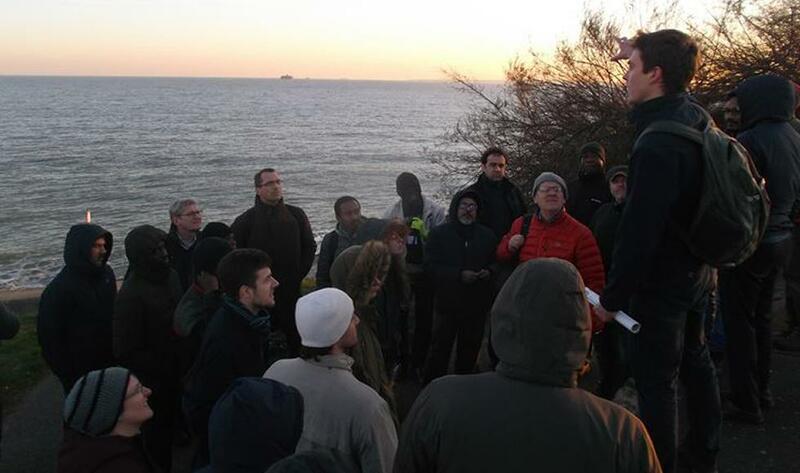 Here, Matthew Wadey is giving a talk to international delegates on a field trip Robert is leading. Robert listens to stakeholders and expert groups about coastal problems and how to solve them. 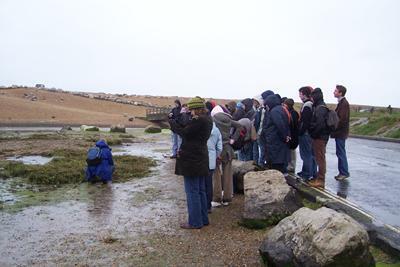 Robert is keen to pass on his knowledge and learning to students, such as at Hurst Spit. Robert aims to understand how deltas like Bangladesh are affected by climate change. 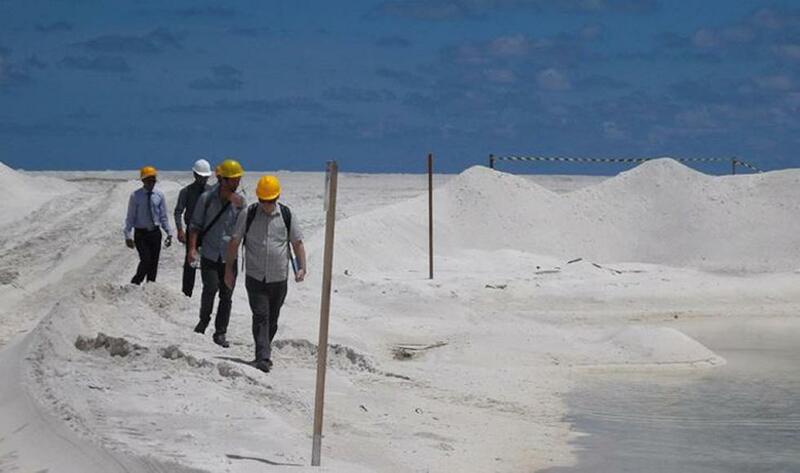 Robert is interested in engineering development in coastal zones, such as this island construction in the Maldives. Robert co-developed the Tyndall Coastal Simulator focusing on the EastAnglian coast. Robert researches how livelihoods are affected after extreme events in developing countries. Robert researches small islands and how they might develop sustainable solutions to the problems they face. Robert is co-Director of MSc Engineering in the Coastal Environment (ECE) and the Southampton lead of the MSc Coastal and Marine Engineering and Management (CoMEM). Within the University, Robert is the theme champion the Society and Government theme in the Southampton Marine and Maritime Institute (SMMI) and also in the lead of the research group 'Coastal Engineering and Management'. He is also the Southampton lead at the Tyndall Centre for Climate Change Research where he is researches cities and coasts. Robert also is on the Editorial Board for Anthropocene Coasts. Brown, S., Nicholls, R. J., Pardaens, A. K., Lowe, J. A., Tol, R. S. J., Vafeidis, A. T., & Hinkel, J. (Accepted/In press). Benefits Of climate change mitigation for reducing the impacts of sea-level rise in G-20 countries. Journal of Coastal Research. Jiménez, J. A., Valdemoro, H. I., Bosom, E., Sánchez-Arcilla, A., & Nicholls, R. (Accepted/In press). Impacts of sea-level rise-induced erosion on the Catalan coast. Regional Environmental Change, 1-26. Brown, S., Barton, M., & Nicholls, R. (Accepted/In press). The influence of groin fields and other hard defences on the shoreline configuration of the soft cliff coastlines. Shore and Beach, 84(2), 13-24. Brown, S., & Nicholls, R. J. (2013). High rise: costing climate change. Hydrolink, 2013(2), 44-46. Nicholls, R. J., Marinova, N., Lowe, J. A., Brown, S., Vellinga, P., de Gusmao, D., ... Tol, R. S. J. (2013). Re:the lack of acceleration of sea levels is generalised to every measured quantity. Proceedings of the Royal Society A: Mathematical, Physical and Engineering Sciences. Amos, C. L., Al-Rashidi, T. B., Rakha, K., El-Gamily, H., & Nicholls, R. J. (2013). Sea surface temperature trends in the coastal ocean. Current Development in Oceanography, 6(1), 1-13. Nicholls, R. J., Hutton, C. W., Lazar, A. N., Rahman, M. M., Salehin, M., & Ghosh, T. (2013). 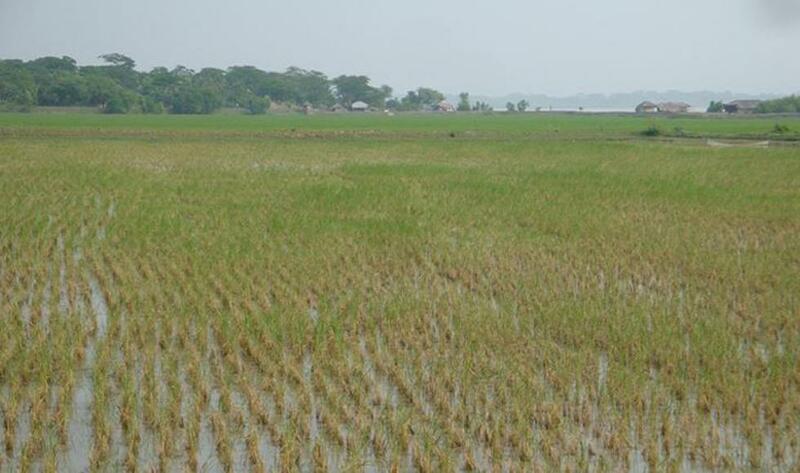 Understanding climate change livelihoods in coastal Bangladesh. Hydrolink, 2013(2), 40-42. Nicholls, R. J., Marinova, N., Lowe, J. A., Brown, S., Vellinga, P., de Gusmao, D., ... Tol, R. S. J. (2012). Author response to comment by Boretti (2011). Proceedings of the Royal Society A: Mathematical, Physical and Engineering Sciences. Nicholls, R. J., & Hanson, S. (2012). Fighting the flood. 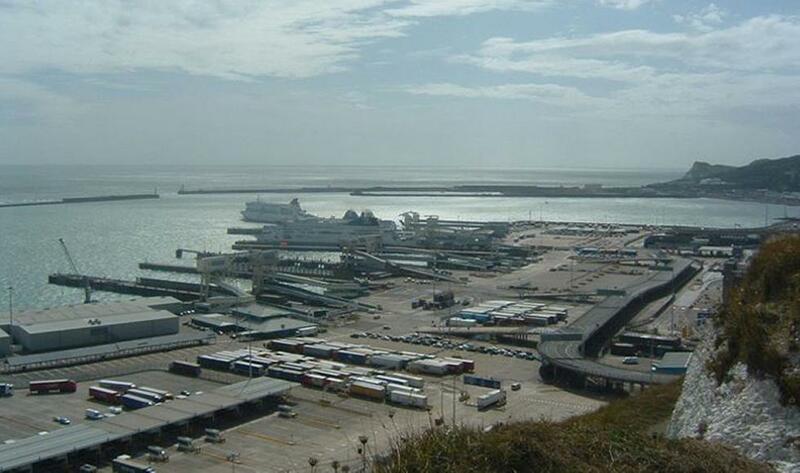 Ports and Harbours, 28-29. Wilby, R. L., Nicholls, R. J., Warren, R., Wheater, H. S., Clarke, D., & Dawson, R. J. (2011). New nuclear build: adaptation options over the full life-cycle. Proceedings of the Institution of Civil Engineers - Civil Engineering, 164(4), 129-136. Parry, M., Arnell, N., Berry, P., Dodman, D., Fankhauser, S., Hope, C., ... Hanson, C. (2009). Adaptation to climate change: assessing the costs. Environment, 51(6), 29-34. Hanson, S., Nicholls, R., Ranger, N., Hallegatte, S., Corfee-Morlot, J., Herweijer, C., & Chateau, J. (2009). An assessment of the exposure of large port cities to coastal flooding: a global assessment. Land Ocean Interactions in the Coastal Zone (LOICZ) INPRINT, 2, 3-6. Vafeidis, A. T., Nicholls, R. J., McFadden, L., Tol, R. S. J., Hinkel, J., Spencer, T., ... Klein, R. J. T. (2008). A new global database for assessing the vulnerability of coastal zones to sea-level rise. Journal of Coastal Research, 917-924. Herweijer, C., Nicholls, R. J., Hanson, S., Patmore, N., Hallegatte, S., Corfee-Morlot, J., ... Muir-Wood, R. (2008). How do our coastal cities fare under rising flood risk? Catastrophe Risk Management, 12-13. Nicholls, R. J. (2008). S'adapter a mont des eaux. La Recherche, 418, 14-15. Nicholls, R., Watkinson, A., Mokrech, M., Hanson, S., Richards, J., Wright, J., ... Dickson, M. (2007). 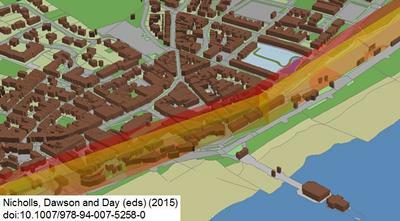 Integrated coastal simulation to support shoreline management planning. Proceedings of the 42nd Flood and Coastal Management Conference, York, July 2007, (04b-2), 11pp. Arnell, N., Warren, R., & Nicholls, R. J. (2007). Response to 'The Stern Review: A Dual Critique'. World Economics, 8(1), 229-231. Vafeidis, A. T., Nicholls, R. J., McFadden, L., Hinkel, J., & Grasshoff, P. S. (2004). Developing a global database for coastal vulnerability analysis: design issues and challenges. The International Archives of Photogrammetry, Remote Sensing and Spatial Information Sciences, 801-805. Small, C., & Nicholls, R. J. (2003). A global analysis of human settlement in coastal zones. Journal of Coastal Research, 19(3), 584-599. Hanson, H., Aarninkhof, S., Capobianco, M., Jiménez, J. A., Larson, M., Nicholls, R. J., ... Vriend, H. J. (2003). Modelling of coastal evolution on a yearly to decadal timescale. Journal of Coastal Research, 19(4), 790-811. Cowell, P. J., Stive, M. J. F., Niedoroda, A. W., Swift, D. J. P., Vriend, H. J., Buijsman, M. C., ... Boer, P. L. (2003). The coastal-tract (part 2): applications of aggregated modeling to lower-order coastal change. Journal of Coastal Research, 19(4), 828-848. Klein, R. J. T., Nicholls, R. J., Ragoonaden, S., Capobianco, M., Aston, J., & Buckley, E. N. (2001). Technological options for adaptation to climate change in coastal zones. Journal of Coastal Research, 17(3), 531-543. Nicholls, R. J. (2000). Changing climate and sea level: how to evaluate? Water Resources Impact, 2(4), 15-19. Klein, R. T. J., & Nicholls, R. J. (1999). Assessment of coastal vulnerability to climate change. Ambio, 28(2), 182-187. Capobianco, M., DeVriend, H. J., & Nicholls, R. J. (1999). 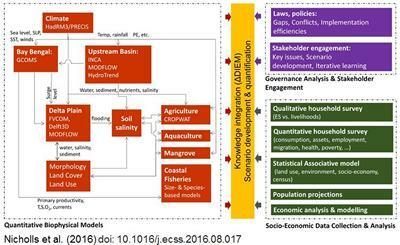 Coastal area impact and vulnerability assessment: a morphodynamic modeller's point of view. Journal of Coastal Research, 15(3), 701-716. Lee, G., Nicholls, R. J., Birkemeier, W. A., & Leatherman, S. P. (1995). A conceptual fairweather-storm model of beach nearshore evolution applied at Duck, North Carolina, USA. Journal of Coastal Research, 11(4), 1157-1166. Nicholls, R. J., Mimura, N., & Topping, J. C. (1995). Climate change in South and South-East Asia: some implications for coastal areas. Journal of Global Environmental Engineering, 1, 137-154. Nicholls, R. J., Davison, A. T., & Gambel, J. (1995). 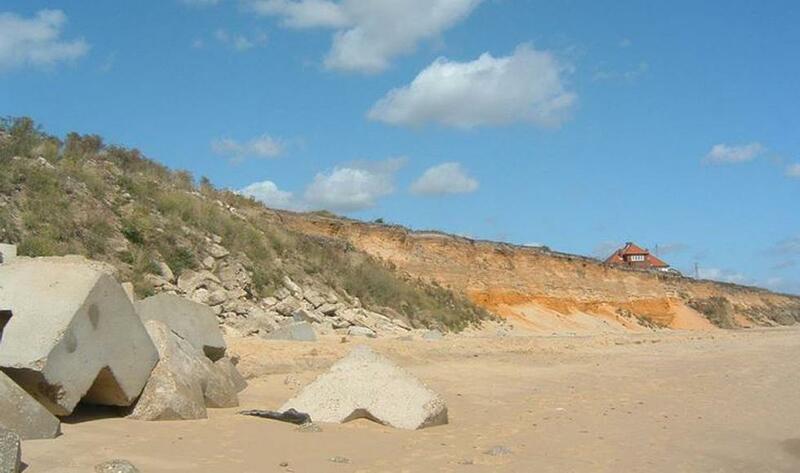 Erosion in coastal settings and pile foundations. Shore and Beach, 63(4), 11-17. Wray, R. D., Leatherman, S. P., & Nicholls, R. J. (1995). Historic and future land loss for upland and marsh islands in the Chesapeake Bay, Maryland, U.S.A. Journal of Coastal Research, 11(4), 1195-1203. Volonte, C. R., & Nicholls, R. J. (1995). Sea-level rise in Uruguay: potential impacts and responses. Journal of Coastal Research, SI 14, 262-284. Nicholls, R. J., & Leatherman, S. P. (1995). The implications of accelerated sea-level rise and developing countries: a discussion. Journal of Coastal Research, 303-323. Downs, L. L., Nicholls, R. J., Leatherman, S. P., & Hautzenroder, J. (1994). Historic evolution of a marsh island: Bloodsworth Island, Maryland. Journal of Coastal Research, 10(4), 1031-1044. Davison, A. T., Ulrich, C. P., & Nicholls, R. J. (1993). 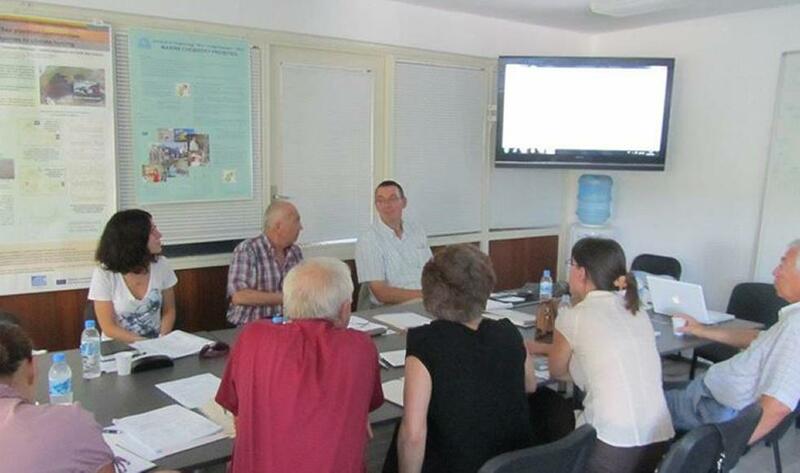 The accreditation of beach nourishment projects: an issues discussion. Shore and Beach, 61(4), 9-15. Stive, M. J. F., Nicholls, R. J., & DeVriend, H. J. (1991). Sea-level rise and shore nourishment: a discussion. Coastal Engineering, 16, 147-163. Nicholls, R. J. (1989). The measurement of the depth of disturbance caused by waves on pebble beaches. Journal of Sedimentary Research, 59(4), 630-631. Nicholls, R., Stringfellow, A., & Beaven, R. P. (2018). Guidance on the management of landfill sites and land contamination on eroding or low-lying coastlines. Supplementary Guide. CIRIA SP169. London: Construction Industry Research & Information Association (CIRIA). Hall, J. W., Tran, M., Hickford, A. J., & Nicholls, R. (Eds.) (2016). The Future of National Infrastructure: A System-of-Systems Approach. Cambridge, GB: Cambridge University Press. Zanuttigh, B., Nicholls, R. J., Vanderlinden, J-P., Burcharth, H. F., & Thompson, R. C. (Eds.) (2015). Coastal risk management in a changing climate. Oxford, GB: Butterworth-Heinemann. Evans, E. P., Simm, J. D., Thorne, C. R., Arnell, N. W., Ashley, R. M., Hess, T. M., ... Wheater, H. S. (2008). An update of the foresight future flooding 2004 qualitative risk analysis. London, UK: Cabinet Office. Holman, I. P., Berry, P. M., Mokrech, M., Richards, J. A., Audsley, E., Harrison, P. A., ... Henriques, C. (2007). Simulating the effects of future climate and socio-economic change in east Anglia and North West England: the RegIS2 project. Summary report. Oxford, GB: UK Climate Impacts Programme. McFadden, L., Nicholls, R., & Penning-Rowsell, E. (Eds.) (2006). Managing coastal vulnerability. Elsevier. Tran, M., Hall, J., Nicholls, R., Hickford, A. J., Chaudry, M., & Watson, G. (2018). Sustainable Infrastructure. In T. Dixon, J. Connaughton, & S. Green (Eds. ), Sustainable Futures in the Built Environment to 2050: A Foresight Approach to Construction and Development (pp. 117-136). Wiley. Hall, J. W., Otto, A., Hickford, A. J., Nicholls, R. J., & Tran, M. (2016). A framework for analysing the long-term performance of interdependent infrastructure systems. In J. W. Hall, M. Tran, A. J. Hickford, & R. J. Nicholls (Eds. ), The Future of National Infrastructure: A System-of-Systems Approach (pp. 12-29). Cambridge, GB: Cambridge University Press. Tran, M., Hall, J. W., Nicholls, R. J., & Hickford, A. J. (2016). Assessing the performance of national infrastructure strategies. In J. W. Hall, M. Tran, A. J. Hickford, & R. J. Nicholls (Eds. ), The Future of National Infrastructure: A System-of-Systems Approach (pp. 205-226). Cambridge, GB: Cambridge University Press. Hall, J. W., Nicholls, R. J., Hickford, A. J., & Tran, M. (2016). Introducing national infrastructure assessment. In J. W. Hall, M. Tran, A. J. Hickford, & R. J. Nicholls (Eds. ), The Future of National Infrastructure: A System-of-Systems Approach (pp. 3-11). Cambridge, GB: Cambridge University Press. Hall, J. W., Nicholls, R. J., Tran, M., & Hickford, A. J. (2016). The future of national infrastructure. In J. W. Hall, M. Tran, A. J. Hickford, & R. J. Nicholls (Eds. ), The Future of National Infrastructure: A System-of-Systems Approach (pp. 310-318). Cambridge, GB: Cambridge University Press. Hanson, S., Nicholls, R. J., & Zanuttigh, B. (2015). Case studies worldwide. In B. Zanuttigh, R. J. Nicholls, J-P. Vanderlinden, H. F. Burcharth, & R. C. Thompson (Eds. ), Coastal Risk Management in a Changing Climate (pp. 326-331). Oxford, GB: Butterworth-Heinemann. Dawson, R. J., Nicholls, R. J., & Day, S. A. (2015). The challenge for coastal management during the third millennium. In R. J. Nicholls, R. J. Dawson, & S. A. Day (Eds. ), Broad Scale Coastal Simulation: New Techniques to Understand and Manage Shorelines in the Third Millennium (pp. 1-78). (Advances in Global Change Research; No. 49). Dordrecht, NL: Springer. Nicholls, R. J., Reeder, T., Brown, S., & Haigh, I. D. (2015). The risks of sea-level rise for coastal cities. In D. King, D. Schrag, Z. Dadi, Q. Ye, & A. Ghosh (Eds. ), Climate change: a risk assessment (pp. 94-98). London, GB: Foreign and Commonwealth Office. Nicholls, R. J. (2014). Adapting to sea level rise. In J. T. Ellis, & D. J. Sherman (Eds. ), Coastal and Marine Hazards, Risks and Disasters (pp. 243-270). London, GB: Elsevier. Nicholls, R. J., Stive, M. J. F., & Tol, R. S. J. (Accepted/In press). Coping with coastal change. In G. Masselink, & R. Gehrels (Eds. ), Coastal Environments and Global Change (pp. 410-431). UK: Wiley. Nicholls, R. J., Hanson, S., & Hinkel, J. (2013). The economics of adaptation in the coastal sector. In M. L. Westphal, G. A. Hughes, & J. Brömmelhörster (Eds. ), Economics of Climate Change in East Asia (pp. 60-83). Mandaluyong, PH: Asian Development Bank. Hanson, S., & Nicholls, R. J. (2012). Extreme flood events and port cities through the twenty-first century: implications of climate change and other drivers. In R. Asariotis, & H. Benamara (Eds. ), Maritime Transport and the Climate Change Challenge (pp. 243-265). (Earthscan Climate). Abingdon, GB: Earthscan from Routledge. Nicholls, R. J., Woodroffe, C. D., Burkett, V., Hay, J., Wong, P. P., & Nurse, L. (2012). Scenarios for coastal vulnerability assessment. In E. Wolanski, & D. S. McLusky (Eds. ), Treatise on Estuarine and Coastal Science Vol. 12 Ecological Economics of Estuaries and Coasts Maryland Heights, US: Elsevier. Jones, L., Angus, S., Cooper, A., Doody, P., Everard, M., Garbutt, A., ... Whitehouse, A. (2011). Coastal margins. In UK National Ecosystem Assessment Technical Report Cambridge, GB: United Nations Environment Programme World Conservation Monitoring Centre (UNEP-WCMC). Hanson, S., & Nicholls, R. J. (2011). Planning for changes in extreme events in port cities throughout the 21st century. In J. Aerts, W. Botzen, M. Bowman, P. Ward, & P. Dircke (Eds. ), Climate Adaptation and Flood Risk in Coastal Cities (pp. 9-26). (Earthscan Climate). London, GB: Routledge. Kebede, A. S., Nicholls, R. J., Brown, S., Hanson, S., & The World Bank (2010). Coastal zone. In Mozambique: Economics of Adaptation to Climate Change (pp. 47-58). Washington, US: World Bank Group. Stive, M. J. F., Cowell, P., & Nicholls, R. J. (2009). Beaches, cliffs and deltas. In Geomorphology and Global Environmental Change (pp. 158-179). Cambridge, UK: Cambridge University Press. Nicholls, R. J., Woodroffe, C. D., & Burkett, V. R. (2009). Coastal degradation as an indicator of global change. In T. Letcher (Ed. ), Climate Change: Observed Impacts on Planet Earth (pp. 409-424). Oxford, UK: Elsevier. Nicholls, R. J. (2009). River and coastal flood management. In P. M. Berry (Ed. ), Biodiversity in the Balance: Mitigation and Adaptation Conflicts and Synergies (pp. 171-213). Pensoft. Warren, R., Arnell, N. W., & Nicholls, R. J. (2008). Impacts of climate change. In D. Cuff, & A. Goudie (Eds. ), The Oxford Companion to Global Change Oxford, UK: Oxford University Press. Nicholls, R. J., Tol, R. S. J., & Hall, J. W. (2007). Assessing impacts and responses to global-mean sea-level rise. In M. E. Schlesinger, H. S. Kheshgi, J. Smith, F. C. de la Chesnaye, J. M. Reilly, T. Wilson, & C. Kolstad (Eds. ), Human-Induced Climate Change: an Interdisciplinary Assessment (pp. 119-134). Cambridge, UK: Cambridge University Press. Burgess, K., Jay, H., Nicholls, R. J., Green, C., & Penning-Rowsell, E. C. (2007). Assessment of future coastal erosion risk. In C. Thorne, E. Evans, & E. C. Penning-Rowsell (Eds. ), Future Flooding and Coastal Erosion Risks (pp. pp.280-293). London, UK: Thomas Telford. Hinton, C., Townend, I. H., & Nicholls, R. J. (2007). Coastal processes. In C. Thorne, E. Evans, & E. Penning-Rowsell (Eds. ), Future Flooding and Coastal Erosion Risks (pp. pp.132-148). London, UK: Thomas Telford. Nicholls, R. J., Wong, P. P., Burket, V. R., Codignotto, J., Hay, J. E., McLean, R. F., ... Woodroffe, C. D. (2007). Coastal systems and low-lying areas. In M. L. Parry, O. F. Canziani, J. P. Palutikof, P. J. van der Linden, & C. E. Hanson (Eds. ), Climate Change 2007: Impacts, Adaptation and Vulnerability (pp. 315-356). Cambridge, UK: Cambridge University Press. Burgess, K., Jay, H., & Nicholls, R. J. (2007). Drivers of coastal erosion. In C. Thorne, E. Evans, & E. Penning-Rowsell (Eds. ), Future Flooding and Coastal Erosion Risks (pp. 267-279). London, UK: Thomas Telford. Church, J., Nicholls, R. J., Hay, J., & Gornitz, V. (2007). Ice and sea-level change. In Global Outlook for Ice & Snow (pp. 1551-180). Nairobi, Kenya: United Nations. Nicholls, R. J., & Townend, I. H. (2007). The management of coastal flooding and erosion. In C. Thorne, E. Evans, & E. Penning-Rowsell (Eds. ), Future Flooding and Coastal Erosion Risks (pp. 392-413). London, UK: Thomas Telford. Nicholls, R. J. (2007). Vulnerability and beyond: a national to global perspective. In L. McFadden, R. Nicholls, & E. Penning-Rowsell (Eds. ), Managing Coastal Vulnerability (pp. 243-260). Elsevier Science. Nicholls, R. J., & Lowe, J. A. (2006). Climate stabilisation and impacts of sea-level rise. In H. J. Schellnhuber, W. Cramer, N. Nakicenovic, T. Wigley, & G. Yohe (Eds. ), Avoiding Dangerous Climate Change (pp. 195-202). Cambridge, UK: Cambridge University Press. Nicholls, R. J., Klein, R. J. T., & Tol, R. S. J. (2006). Managing coastal vulnerability and climate change: a national to global perspective. In L. McFadden, R. Nicholls, & E. Penning-Roswell (Eds. ), Managing Coastal Vulnerability (pp. 223-241). Oxford, GB: Elsevier. Brooks, N., Nicholls, R. J., & Hall, J. (2006). Sea-level rise: coastal impacts and responses. In R. Schubert, H. J. Schellnhuber, N. Buchmann, A. Epiny, R. Greisshammer, M. Kulessa, D. Messner, S. Rahmstorf, ... J. Schmid (Eds. ), The Future Oceans: Warming Up, Rising High, Turning Sour (Special Report) (pp. 33-64). Berlin, Germany: WBGU (German Advisory Council on Global Change). McFadden, L., Penning-Rowsell, E., & Nicholls, R. J. (2006). Setting the parameters: a framework for developing cross-cutting perspectives of vulnerability for coastal zone management. In L. McFadden, R. J. Nicholls, & E. Penning-Roswell (Eds. ), Managing Coastal Vulnerability (pp. 1-13). Oxford, UK: Elsevier. Nicholls, R. J. (2006). Storm surges in coastal areas. In M. Arnold, R. S. Chen, U. Deichmann, M. Dilley, & A. L. Lerner-Lam (Eds. ), Natural Disaster hotspots: case studies (pp. 79-108). (Disaster Risk Management; No. 6). Washington, USA: World Bank Publications. Lowe, J. A., Gregory, J. M., Ridley, J., Huybrechts, P., Nicholls, R. J., & Collins, M. (2006). The role of sea-level rise and the Greenland ice sheet in dangerous climate change: implications for the stabilisation of climate. In H. J. Schnellnhuber, W. Cramer, N. Nakicenovic, T. Wigley, & G. Yohe (Eds. ), Avoiding dangerous climate change (pp. 29-36). New York, USA: Cambridge University Press. Rochelle-Newall, E., Klein, R. T., Nicholls, R. J., Barrett, K., Behrendt, H., Bresser, T. H. M., ... Vermaat, J. E. (2005). Global change and the European coast – climate change and economic development. In J. E. Vermaat, L. Bouwer, K. Turner, & W. Salomons (Eds. ), Managing European coasts: past, present and future (pp. 239-254.). Heidelberg, Germany: Springer Germany. Nicholls, R. J., & Hoozemans, F. M. J. (2005). Global vulnerability analysis. In M. Schwartz (Ed. ), Encyclopedia of Coastal Science (pp. 486-491). (Encyclopedia of Earth Sciences Series). Dortrecht, Netherlands: Kluwer Academic Publishers. Nicholls, R. J., & Goodbred Jr., S. L. (2005). Towards integrated assessment of the Ganges-Brahmaputra delta. In Z. Chen, Y. Saito, & S. L. Goodbred Jr. (Eds. ), Mega-deltas of Asia: geological evolution and human impact (pp. 168-181). Beijing, China: China Ocean Press. McMichael, A., Campbell-Lendrum, D. H., Kovats, R. S., Nicholls, R. J., Edwards, S., Wilkinson, P., & Wilson, T. (2004). Global climate change. In E. Majid, A. D. Lopez, A. A. Rodgers, & C. J. L. Murray (Eds. ), Comparative quantification of health risks : global and regional burden of disease attributable to selected major risk factors (pp. pp1543-1650). Geneva, Switzerland: World Health Organisation. Woodworth, P. L., Gregory, J. M., & Nicholls, R. J. (2004). Long term sea-level changes and their impacts. In A. R. Robinson, & K. Brink (Eds. ), The Sea, Volume 13, The Global Coastal Ocean Harvard, USA: Harvard University Press. Nicholls, R. J. (2003). The application of managed retreat: a comparison of England and Germany. In M. Marchand (Ed. ), Dealing with flood risk (pp. 42-51). (Delft Hydraulics Select Series; Vol. 1). Delft, Netherlands: Delft University Press. Nicholls, R. J. (2003). 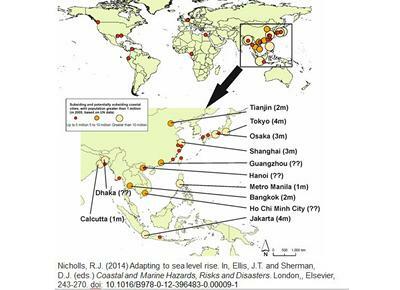 The resilience of coastal megacities to weather related hazards: a review. In A. Kreimer, M. Arnold, & A. Carlin (Eds. ), Building Safer Cities: The Future of Disaster Risk (pp. 111-137). (Disaster Risk Management Series; No. 3). Washington DC, USA: The World Bank. Nicholls, R. J. (2002). Rising sea levels: potential impacts and responses. In R. E. Hester, & R. M. Harrison (Eds. ), Global Environment Change (pp. 83-107). (Issues in Environmental Science and Technology; No. 17). Cambridge, UK: Royal Society of Chemistry. Cramer, W., Holten, J. I., Kaczmarek, Z., Martens, P., Nicholls, R. J., Öquist, M., ... Villar, L. (2001). Europe. In J. J. McCarthy, O. F. Canziani, N. A. Leary, D. J. Dokken, & K. S. White (Eds. ), Climate Change 2001: impacts, adaptation, and vulnerability: report of IPCC working group II (pp. 641-692). Cambridge, UK: Cambridge University Press. Neumann, J. E., Yohe, G., Nicholls, R. J., & Manion, M. (2001). Sea level rise and its effects on global resources. In E. Claussen, V. A. Cochran, & D. P. Davis (Eds. ), Climate Change: Science, Strategies, & Solutions Pew Centre on Global Climate Change. Beaven, R. P., Stringfellow, A., Brown, S., Nicholls, R., & Murthaza, A. (2017). A preliminary investigation of options for remediation of a coastal landfill in the Maldives. Paper presented at 16th International Waste Management and Landfill Symposium, Italy. Kebede, A. S., Nicholls, R. J., Allan, A., Arto, I., Cazcarro, L., Fernandez, J. A., ... Whitehead, P. W. (2017). A scenario framework to explore migration and adaptation in deltas: A multi-scale and participatory approach. Paper presented at EGU General Assembly 2017, Vienna, Austria. Hutton, C., Lazar, A., Nicholls, R., & Kebede, A. (2017). Sustainable deltas in a changing world. Paper presented at Development Studies Association: DSA2017 Annual Conference, Bradford, United Kingdom. Beaven, R. P., Stringfellow, A., Nicholls, R., Haigh, I. D., Kebede, A., & Watts, J. (2017). The impact of coastal landfills on shoreline management plans. In Sardinia 2017 : 16th International Waste Management and Landfill Symposium (pp. 1-12). CISA Publisher. Hunter , J. R., Woodworth, P. L., Wahl, T., & Nicholls, R. J. (2017). Using global tide gauge data to validate and improve the representation of extreme sea levels in 3 flood impact studies. Lazar, A., Nicholls, R. J., Hutton, C., Adams, H., Payo, A., Salehin, M., ... Szabo, S. (2015). 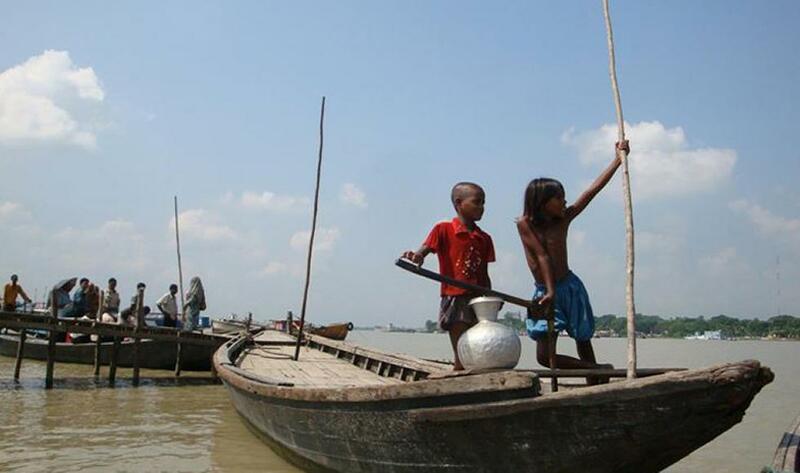 The hydro-environment and livelihoods in coastal Bangladesh. 36th IAHR World Congress. Special Session: Deltas – From Multiple Pressures to Integrated Solutions, Netherlands. Lewis, K., Richardson, K., Kent, C., Dankers, R., Davie, J., Giuntoli, I., ... Rosenzweig, C. (2014). Human dynamics of climate change map. Poster session presented at Human dynamics of climate change. Launched by the Foreign and Commonwealth Office, United Kingdom. Nicholls, R. J., Bradbury, A., Burningham, H., Dix, J. K., Ellis, M., French, J., ... Whitehouse, R. (2012). iCOASST - integrating coastal sediment systems. Paper presented at ICCE2012 International Conference on Coastal Engineering, Spain. Brown, S., Nicholls, R. J., Pardaens, A. K., Lowe, J. A., Vafeidis, A. T., Hinkel, J., & Watkiss, P. (2012). 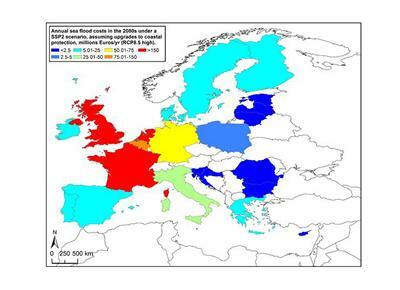 Impacts and strategic responses to rising sea levels in the European Union [full paper]. In F. Klijn, & T. Schweckendiek (Eds. ), Comprehensive Flood Risk Management: Research for Policy and Practice (pp. 1139-1147). London, GB: Taylor and Francis. Brown, S., Nicholls, R. J., Pardaens, A. K., Lowe, J. A., Vafeidis, A. T., Hinkel, J., & Watkiss, P. (2012). Impacts and strategic responses to rising sea levels in the European Union[extended abstract]. In F. Klijn, & T. Schweckendiek (Eds. ), Comprehensive Flood Risk Management: Research for Policy and Practice (pp. 289-289). Taylor and Francis. Hall, J. W., Henriques, J. J., Hickford, A. J., & Nicholls, R. J. (2012). Tunnelling through the complexity of national infrastructure planning. In Earth Systems Engineering 2012 (pp. 65-70). Newcastle upon Tyne, GB: Centre for Earth Systems Engineering Research, Newcastle University UK. Narayan, S., Nicholls, R. J., Clarke, D., & Hanson, S. (2011). Investigating the source – pathway – receptor – consequence framework for coastal flood system analyses. Paper presented at ICE Coastal Management Conference 2011, . Narayan, S., Hanson, S., Nicholls, R. J., & Clarke, D. (2011). Use of the source - pathway - receptor - consequence model in coastal flood risk assessment. Paper presented at European Geosciences Union General Assembly 2011, Austria. Nicholls, R. J., Mokrech, M., Xingzheng, W., Hall, J. W., Walkden, M. J. A., & Hanson, S. (2010). Simulating changes in flood erosion risks due to future sea-level rise and storm surges. Paper presented at Storm Surges Congress 2010, Germany. Hanson, S., Nicholls, R. J., Hallegatte, S., & Corfee-Morlot, J. (2010). The effects of climate mitigation on the exposure of the world's large port cities to extreme coastal water levels. Paper presented at Storm Surges Congress 2010, 13-17 September, Hamburg, Germany, Germany. Walkden, M. J. A., Roche, N., Dawson, R., Hall, J. W., Dickson, M., Stansby, P. K., ... Nicholls, R. J. (2009). Coupled long-term probabilistic erosion and flood risk assessment under accelerated sea-level rise. 12pp. Paper presented at 44th Flood and Coastal Risk Management Conference, . Haigh, I., Nicholls, R. J., & Wells, N. C. (2009). Extreme sea levels in the English channel: Preliminary observations. Paper presented at Coastal Engineering 2008: 31st International Conference on Coastal Engineering, Germany. Leake, J., Wolf, J., Lowe, J. A., Hall, J. W., & Nicholls, R. J. (2009). Response of marine climate to future climate change: application to coastal regions. Paper presented at Coastal Engineering 2008: 31st International Conference on Coastal Engineering, Germany. Haigh, I., Nicholls, R. J., & Wells, N. C. (2009). Twentieth-century changes in extreme still sea levels in the English Channel. In J. M. Smith (Ed. ), Coastal Engineering 2008: Proceedings of the 31st International Conference (pp. 1199-1209). New Jersey, USA: World Scientific Publishing Co.
Burkett, V. R., Fernandez, L., Nicholls, R. J., & Woodroffe, C. D. (2008). Climate change impacts on coastal biodiversity. In A. Fenech, D. MacIver, & F. Dallmeier (Eds. ), Proceedings of Climate Change and Biodiversity in the Americas (pp. 167-193). Quebec, Canada: Canadian International Development Agency. Gardiner, S., Nicholls, R. J., Spencer, T., Hanson, S., Richards, J., & Zhang, Z. (2008). 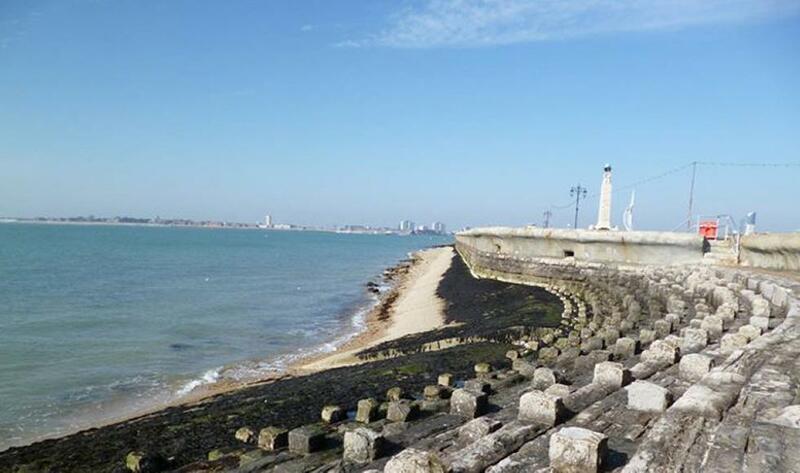 Coastal habitats, climate change and spatial planning: lessons from the Solent region, UK. 36-46. Paper presented at Solent Protection Society Conference, ‘What future for the Solent’s saltmarshes?, . Leake, J., Wolf, J., Lowe, J. A., Stansby, P. K., Nicholls, R. J., Mokrech, M., ... Hanson, S. (2008). Integrated modeling for coastal impacts. In M. L. Spaulding (Ed. ), Estuarine and Coastal Modelling: Proceedings of the 10th International Conference Reston, US: American Society of Civil Engineers. Nicholls, R. J., Hanson, S., Mokrech, M., Stansby, P. K., Chini, N., Walkden, M. J. A., ... Acosta-Michlik, L. (2008). The Tyndall Centre coastal simulator and interface (CoastS). Paper presented at European Conference on Flood Risk management Research and Practice (FLOODrisk 2008), . Hanson, S., Wolf, J. P., Mokrech, M., & Nicholls, R. J. (2008). The Tyndall coastal simulator and interface. Paper presented at Littoral 2008. A Changing Coast: Challenge for the Environmental Policies, . Brown, I., Jude, S., Koukoulas, S., Nicholls, R. J., Dickson, M., & Walkden, M. (2008). Using virtual reality to simulate coastal erosion: a participative decision tool? In GIS for Environmental Decision Making (pp. 193-210). CRC Press. Mokrech, M., Nicholls, R., Hanson, S., Watkinson, A., Jude, S., Nicholson-Cole, S., ... Leake, J. (2007). A Coastal Simulator for Supporting Long Term Coastal Management. Paper presented at International Symposium on GIS and Computer Mapping for Coastal Management - CoastGIS 2007, Spain. Nicholls, R. J. (2007). Global climate change: implications for coastal systems and low-lying areas. In Proceedings of Expert Symposium on Climate Change: Modelling, Impacts & Adaptations (pp. 23-28). Singapore: National University of Singapore. Rossington, S. K., Nicholls, R. J., Knaapen, M. A. F., & Wang, Z. B. (2007). Morphological behaviour of UK estuaries under conditions of accelerating sea-level rise. Paper presented at River, coastal and estuarine morphodynamics, . Rossington, K., Nicholls, R. J., & Knaapen, M. F. (2007). Morphological interactions within UK estuaries: A preliminary analysis of critical rates of sea-level rise. In Coastal Sediments '07 (pp. 1200-1213). New York, USA: American Society of Civil Engineers. Gardiner, S., Hanson, S., Nicholls, R. J., Zhang, Z., Jude, S., Jones, A., ... Dalton, H. (2007). 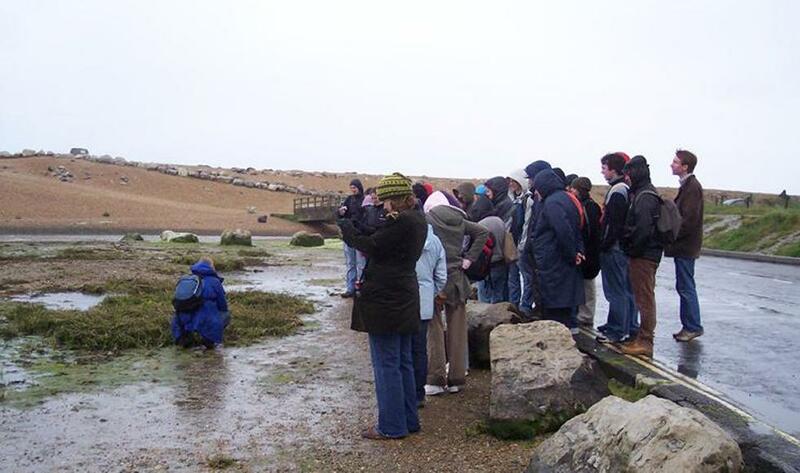 The Habitats Directive, coastal habitats and climate change - case studies from the south coast of the U.K.. Paper presented at ICE International Conference on Coastal Management 2007, . Dawson, R. J., Hall, J. W., Nicholls, R. J., Bates, P. D., Dickson, M. E., & Walkden, M. J. A. (2006). Efficient broad scale flood risk assessment over multi-decadal timescale. In Stochastic Hydraulics '05 Tyndall. Koukoulas, S., Nicholls, R. J., Dickson, M. E., Walkden, M., Hall, J. W., Pearson, S. G., ... Richard, J. (2005). A GIS tool for analysis and interpretation of coastal erosion model outputs (SCAPEGIS). In Coastal Dynamics 2005 Virginia, USA: American Society of Civil Engineers. Hall, J. W., Dawson, R. J., Walkden, M., Dickson, M., Stansby, P., Nicholls, R. J., ... Watkinson, A. (2005). Broad-scale analysis of morphological and climate impacts on coastal flood risk. Paper presented at International Conference on Coastal Dynamics, . Townend, I., Sayers, P. B., Hinton, C. L., Panzeri, M. C., Nicholls, R. J., Thorne, C. R., & Sim, J. (2005). OST Foresight Report: A futures analysis of UK coastal flooding and erosion. 1-18. Paper presented at ICE Breakwaters Conference ’05, . Nicholls, R. J. (2003). A database for global impact and vulnerability analysis of coasts due to sea-level rise. In R. A. Davis, A. Sallenger, & P. Howd (Eds. ), Coastal sediments 2003 : crossing disciplinary boundaries Florida, USA: World Scientific Publishing Company. Vafeidis, A., Nicholls, R. J., & McFadden, L. (2003). Developing a database for global vulnerability analysis of coastal zones: the DINAS-COAST project and the DIVA tool. In Proceedings of the 23rd EARSeL Symposium on Remote Sensing in Transition Millpress Science Publishers. Hanson, S. E., & Nicholls, R. J. (2003). 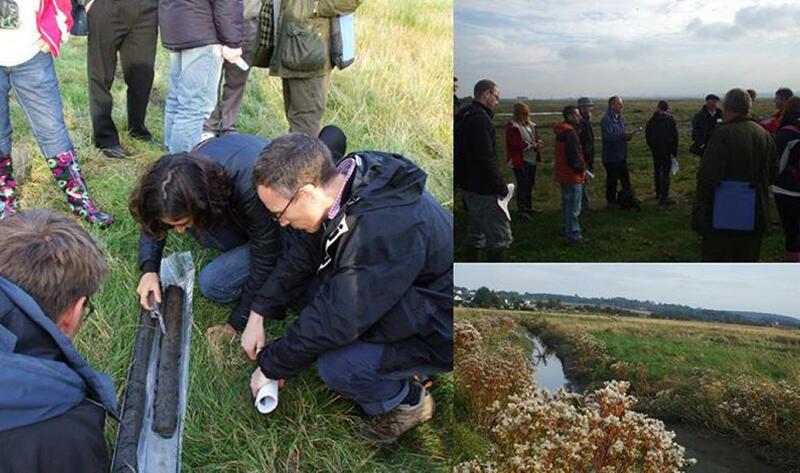 Historical change in estuaries: a case study of Hamford Water, Essex, UK. In R. A. Davis, A. Sallenger, & P. Howd (Eds. ), Coastal Sediments 2003 Crossing Disciplinary Boundaries: Proceedings of the International Conference Sheraton Sand Key Resort, Clearwater Beach, Florida, USA 18 - 23 May 2003 World Scientific Publishing Company. Nicholls, R. J. (2002). Coastal Change in East Anglia: Results from the RegIS Project.. 26-37. Paper presented at Redesigning the Coast, Tyndall Centre and CSERGE, . Hinton, C., & Nicholls, R. J. (2001). Large-scale shoreface response to a prominent anthropogenic structure: A case study of the Ijmuiden Harbour moles, Holland. In H. Hanson (Ed. ), Coastal Dynamics '01: Proceedings of the Fourth Conference on Coastal Dynamics, June 11-15, 2001, Lund Sweden (pp. 607-616). New York, USA: American Society of Civil Engineers. de la Vega-Leinert, A. C., & Nicholls, R. J. (2001). Les conséquences de l’élévation accélérée du niveau de la mer au Royaume Uni. [Impacts of accelerated sea-level rise in the United Kingdom]. In R. Paskoff (Ed. ), Le changement climatique et les espaces cotiers: "L'elevation du niveau de la mer: risques et responses, Acted du colloque d'Arles, 12 et 13 octobre 2000 (pp. 48-57). Paris, France: Mission Interministerielle de l’effet. Nicholls, R. J., & Wilson, T. (2001). The Regional Impact Study (RegIS).. Paper presented at 36th Flood and Coastal Management Conference, . Hanson, S., & Nicholls, R. J. (2001). Uncertainties in sediment inputs from coastal erosion. In Coastal Dynamics '01. Proceedings of the Fourth Conference on Coastal Dynamics, June 11-15 2001, Lund, Sweden (pp. 607-616). New York, USA: American Society of Civil Engineers. Nicholls, R., Hinkel, J., Lincke, D., & van der Pol, T. (Accepted/In press). Global investment costs for coastal defense through the 21st century. (Policy Research Working Paper; No. WPS8745). Washington DC: World Bank Group. Beaven, R. P., Nicholls, R., Haigh, I., Kebede, A. S., Watts, J., & Stringfellow, A. (2018). Coastal landfill and shoreline management: Implications for coastal adaptation infrastructure. Case Study: Lyme Regis. University of Southampton. Beaven, R. P., Kebede, A. S., Nicholls, R. J., Haigh, I. D., Watts, J. W., & Stringfellow, A. (2018). Coastal landfill and shoreline management: Implications for coastal adaptation infrastructure. Case Study: Pennington. University of Southampton. Beaven, R. P., Kebede, A. S., Nicholls, R. J., Haigh, I. D., Watts, J., & Stringfellow, A. (2018). Coastal landfill and shoreline management: Implications for coastal adaptation infrastructure. Case Study: Wicor Cams. University of Southampton. Adshead, D., Fuldauer, L., Thacker, S., Hickford, A., Rouhet, G., Muller, W. S., ... Nicholls, R. (Accepted/In press). Evidence-Based Infrastructure: Curacao. National infrastructure systems modelling to support sustainable and resilient infrastructure development. Copenhagen, Denmark: United Nations Office for Project Services. Brown, S., Lincke, D., Nicholls, R., & Hinkel, J. (2015). The impacts of sea-level rise on European coasts in a 2°C world. Results and analysis of task 6.5 prepared as part of IMPACT2C: quantifying project impacts under 2°C warming. Southampton, GB: University of Southampton. Hall, J., Henriques, J., Hickford, A., & Nicholls, R. (Eds.) (2012). A fast track analysis of strategies for infrastructure provision in Great Britain: technical report. Oxford, GB: Environmental Change Institute, University of Oxford. Nicholls, R. J., Hanson, S., Lowe, J. A., Warrick, R. A., Lu, X., Long, A. J., & Carter, T. A. (2011). Constructing sea-level scenarios for impact and adaptation assessment of coastal areas: a guidance document. Geneva, Switzerland: Intergovernmental Panel on Climate Change. Vafeidis, A., Neumann, B., Zimmerman, J., & Nicholls, R. J. (2011). MR9: Analysis of land area and population in the low-elevation coastal zone (LECZ). London, GB: Foresight, Government Office for Science. Nicholls, R. J., & Kebede, A. (2011). The implications on the UK of the impacts of climate change and sea-level rise on critical coastal infrastructure overseas, 2010 to 2100. (International Dimensions of Climate Change; No. R6.1). London, GB: Foresight, Government Office for Science. Nicholls, R. J., Kebede, A., & The World Bank (2010). Ghana: economics of adaptation to climate change. Washington, US: World Bank Group. Linham, M. M., & Nicholls, R. J. (2010). Technologies for climate change adaptation: coastal erosion and flooding. (TNA Guidebook Series). New Delhi, IN: UNEP Risø Centre on Energy, Climate and Sustainable Development. Parry, M., Arnell, N., Berry, P., Dodman, D., Fankhauser, S., Hope, C., ... Wheeler, T. (2009). Assessing the costs of adaptation to climate change: a review of the UNFCCC and other recent estimates. London, UK: International Institute for Environment and Development. Whitehouse, R., Balson, P., Beech, N., Brampton, A., Blott, S., Burningham, H., ... Walkden, M. (2009). Characterisation and prediction of large-scale, long-term change of coastal geomorphological behaviours: final science report. Bristol, GB: Environment Agency UK. Belfiore, S., Birkmann, J., Castellan, A., Cavaletti, A., Hettiarachchi, S., Nicholls, R. J., ... Arthurton, R. (2009). Hazard awareness and risk mitigation in integrated coastal area management. (Intergovernmental Oceanographic Commission: Manuals and Guides No. 50; No. ICAM Dossier No. 5). France: United Nations Educational, Scientific and Cultural Organization. Nicholls, R. J., Hanson, S., Balson, P., Brown, I., French, J., & Spencer, T. (2006). Capturing geomorphological change in the coastal simulator. (Tyndell Research Project T3.42; No. 46). Norwich, UK: Tyndall Centre for Climate Change Research. Nicholls, R. J., & Mokrech, M. (2005). Assessing coastal flood risk at specific sites and regional scales: Regional assessment of coastal flood risk. Tyndall Research. Nicholls, R. J., & Mokrech, M. (2005). Towards an integrated coastal sediment dynamics and shoreline response simulator. Tyndall Research. Holman, I. P., Loveland, P. J., Nicholls, R. J., Shackley, S., Berry, P. M., Rounsevell, M. D. A., ... Wood, R. (2002). REGIS: Regional climate change impact and response studies in East Anglia and north west England. Environment Agency & English Nature. Nicholls, R. J., Brown, S., Hanson, S., & Hinkel, J. (2010). Economics of coastal zone adaptation to climate change. (World Bank Discussion Papers; No. 10). Washington, US: International Bank for Reconstruction and Development / World Bank. Hanson, S., Nicholls, R. J., Balson, P., Brown, I., & French, J. R. (2007). Capturing coastal morphological change within regional integrated assessment: an outcome-driven fuzzy logic approach. (Tyndall Working Papers; No. 113). Norwich, UK: Tyndall Centre for Climate Change Research. Dawson, R., Dickson, M. E., Nicholls, J., Walkden, M., Stansby, P., Mokrech, M., ... Pearson, S. (2007). Integrated analysis of risks of coastal flooding and cliff erosion under scenarios of long term change. Norwich, GB: Tyndall Centre. Nicholls, R. J., Hanson, S., Herweijer, C., Patmore, N., Hallegatte, S., Corfee-Morlot, J., ... Muir-Wood, R. (2007). Ranking port cities with high exposure and vulnerability to climate extremes: exposure estimates. (Environment Directorate Working Papers; No. ENV/WKP(2007)1). Paris, France: Organisation for Economic and Co-operative development (OECD). Anthoff, D., Nicholls, R. J., Tol, R. S. J., & Vafeidis, A. T. (2006). Global and regional exposure to large rises in sea-level: a sensitivity analysis. (Tyndell Centre for Climate Change Research working papers; No. 96). Norwich, UK: Tyndell Centre for Climate Change Research. Nicholls, R. J., Hanson, S., Lowe, J. A., Vaughan, D. A., Lenton, T., Ganopolski, A., ... Vafeidis, A. T. (2006). Metrics for assessing the economic benefits of climate change policies: sea-level rise. Paris, France: Organisation for Economic co-operation and development (OECD). Warren, R., Arnell, N., Nicholls, R. J., Levy, P., & Price, J. (2006). Understanding the regional impacts of climate change: research report prepared for the Stern review on the economics of climate change. (Tyndell Centre for Climate Change Research working papers; No. 90). Norwich, UK: Tyndell Centre for Climate Change Research. Robert's teaching involves undergraduate and postgraduate contributions to the Civil Engineering Programmes mostly focussed around coastal engineering issues, including Independent Projects (FEEG3003) and MSc Student Dissertations (FEE6012). He co-directs the MSc Engineering in the Coastal Environment with Dr. Ivan Haigh based in the School of Ocean and Earth Sciences at the National Oceanography Centre. He also leads the University of Southampton involvement in the Erasmus Mundus MSc Coastal and Marine Engineering and Management (CoMEM), which is led by NTNU (Trondheim) and also involves Delft University of Technology, UPC (Barcelona) and City University (London). 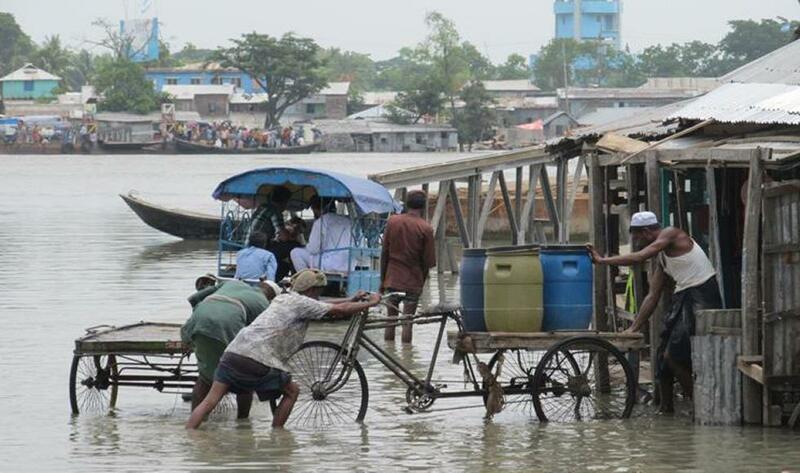 Historic floods, sea level rise, storm surge and climate change, AGU, San Francisco, 12-16 December 2016.
in coastal Bangladesh, ESPA Science Meeting London, 25/26 November 2015: Talk starts at 1.16.30.